Satisfy your wanderlust - not to mention your appetite - by booking NOW for my upcoming 'World Taste Trails' workshop. This flavor-packed workshop takes you around the world to deliver the ultimate in international flavors direct to your plate. It also makes provision for the upcoming Pesach holidays, effectively giving you two great value workshops in one. A total of 14 Delicious dishes makes this my most ambitious - and tastiest - menu yet. Add to this a stylish table setting segment - 'DESERT DESIGN' - and your 'World Taste Trail' is complete. Participation in 'World Taste Trails' will cost a great value NIS 170 including comprehensive notes and a full sit-down meal. Classes are held in a kosher kitchen in Hod Hasharon just 4 km from public transport and within easy walking distance of public transport. Please note that 'World Taste Trails' is a Meat/Pareve class but vegetarian alternatives will be provided where possible if I am informed of this in advance. 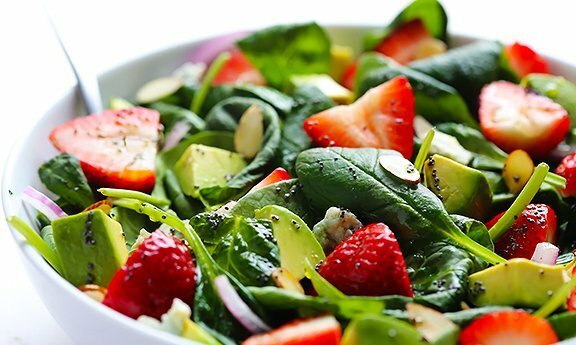 Happy DIY with your salad dressing with a difference and I look forward to hearing from you. Tel Aviv epitomises 'Cafe Society' with its plethora of coffee shops serving sublime soups partnered by crusty, artisan breads, exquisitely styled salads that turn vegetables into an art form, light as air quiches, show-stopping sandwiches, and bite-sized sweet treats. Now you can enjoy the very best of this coffee shop culture in the comfort of your own home. * Final recipe selection may differ very slightly due to ongoing recipe testing. I don't get the chance very often to serve up my ultimate dairy 'n pareve dishes, and I'm taking maximum advantage of the opportunity to share my most special gems with you here. Looking for even MORE value? Participation in a Delicious workshop will cost a great value NIS 170 including full recipe notes, table 'n craft demonstration and a sit-down meal. Classes are held in a kosher kitchen in Hod Hasharon within easy walking distance of public transport and just 4 km from the Raanana Junction. Please note that 'Cafe Society' is a dairy and pareve class. Hurry to reserve your place! I look forward to sharing this cafe culture with you. Low fat, full flavor is the promise I make to you when you book for my upcoming 'Low Fat & Luscious' workshop. Enjoy a wide array of versatile dishes suitable for serving on Shabbat and chaggim...for take-to-work lunches...lazy summer days...or any other time you choose to enjoy guilt-free dining. I'll also be throwing in refreshing summer drinks ideas...fat-free French fries....the ultimate no-fat salad dressing and more. Add in a super stylish Chocolate & Aqua table-setting demonstration and your Delicious experience is complete! Remember your 'Low Fat & Luscious' experience will cost a great value NIS 170 including comprehensive recipe notes and a full, sit-down meal. Classes are held in a kosher kitchen in Hod Hasharon just 4 km from the Raanana Junction and within easy walking distance of public transport. 'Low Fat & Luscious' is a Meat and Pareve class but vegetarian alternatives will be provided if I am informed of this on booking. I look forward to sharing the lite with you! Rosh Hashanah is especially early this year and we'll be celebrating the start of the chaggim just days after the end of the summer vacation. As Delicious doors are closed in August, I'm planning ahead and launching my 'Happy Holidays' workshop now, allowing you to practice and perfect your holiday menu at your leisure. My annual Rosh Hashanah class is always my most popular workshop - delivering Delicious dining options that can be put to use the whole year through - and this year's vibrant menu is sure to appeal. Preparing for the chag in good time gives you ample opportunity to impress guests with a super-stylish setting. The cost of this comprehensive class - which includes a minimum of 10 Delicious recipes, full recipe notes plus table setting, floral ideas and crafts - is NIS 170 per Delicious diner. Classes are held in a kosher kitchen in Hod Hasharon just 4 km from the Raanana Junction and within easy walking distances of major bus routes. 'Happy Holidays ' is a Meat & Pareve class and vegetarian versions of meat dishes are served if requested on booking . Clear skies are guaranteed from now until November and your dining style should reflect this bright 'n breezy weather. Inject a healthy dose of Mediterranean sunshine into your kitchen by joining me for my all-new 'Anyone For Brunch' workshop and see dairy fare in a sparking, new light. Learn how to make your own labneh….take home the recipe for Toblerone fondue…pick up healthy school lunch box ideas...and more! It's all happening when you say YES to my 'Anyone For Brunch' class. The cost of this great value class - which includes a minimum of 10 Delicious recipes, comprehensive recipe notes plus table setting, floral ideas and crafts - is NIS 170 per Delicious diner. Classes are held in a kosher kitchen in Hod Hasharon just 4 km from the Raanana Junction and within easy walking distances of major bus routes. 'Anyone For Brunch' is a Dairy & Pareve class and, as I run dairy workshops just once a year, is packed to capacity with unprecedented flavor. Hurry to book for a brunch-time treat you'll always remember! unforgettable dishes prepared in 10 minutes or less. Hurry to reserve your seat....contact me on 052 621 5851 or delicious.newsletter@gmail.com without delay! be prepared in advance if you inform me of this on booking. Due to overwhelming demand, I am repeating my popular 'Asian Adventure' workshop, and have now made it EVEN BETTER with additions from my previous 'Taste Of Thai' class. By booking for this revised program, you're essentially getting THE BEST of two terrific lessons, in one, great value workshop. There's never been a better time to board the Orient Express and join me on a Delicious! 'Asian Adventure'. At Delicious , I don't only focus on food , but demonstrate how to bring creative style to every aspect of your daily living. Embarking on your 'Asian Adventure' will cost a great value NIS 170 including full menu notes and plenty of tasting time. Classes are held in a kosher kitchen in Hod Hasharon just 4 km from the Raanana Junction and within easy walking distance of public transport. 'Asian Adventures' will focus on Meat & Parev dishes but vegetarian dishes will be provided if I am informed of this on booking. Like me on Facebook by going to https://www.facebook.com/pages/Lisa-Brink-at-Delicious/162793217075997 and clicking 'Like' in the black box below the orange 'Kitchen' to receive ADDITIONAL free recipes, news of shopping tours, promotions and more. 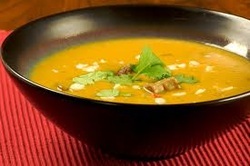 Lite 'n lean is the theme of my new workshop as I deliver a truly Delicious menu with loads of taste without the waist. Join me for a dose of sparkling 'Sun Lite' and discover how cutting down on fat needn't mean compromising on flavor. This specially for Summer menu features a wide array of dishes so good that diners will never guess they're healthy too! *Menu subject to slight changes due to ongoing recipe testing. Vegetarian alternatives will be provided with prior notice. Then hurry to reserve your place in the sun! Delicious classes cost a great value NIS 160 including comprehensive recipe notes and a full sit-down meal and classes are held in a kosher kitchen in Hod Hasharon just 4 km from the Raanana Junction within easy walking distance of public transport. Delicious 'Sun Lite' is a Meat & Pareve class and provision will be made for vegetarians if I am advised on booking. For safety sake please CC both email addresses when booking and follow up if you have not received confirmation within 3 days. I look forward to showing you how to look - and cook - on the lite side of life! 'SPRING COLLECTION' WORKSHOP FILLING FAST…AND FOR GOOD REASON! It's not for nothing that Israel is known as the Land Of Milk & Honey and our local dairy products are recognised as world class. My upcoming 'Spring Collection' workshops give me the perfect opportunity to showcase Israel's finest natural bounty and, as you will see from the exciting menu, I've gone all out to deliver the ultimate meal. All this - plus a stylish 'Lemon & Lime' table setting - make for an exciting morning or evening out! Two final new dates have been added to the schedule in order to cater for demand. Hurry to book as this all-colour class is filling fast! Participation in this great value class is yours at NIS 160 including comprehensive recipe notes and a full sit down meal. Classes are held in a kosher kitchen in Hod Hasharon just 4 km from the Raanana Junction and within easy walking distance of public transport. 'Spring Collection' is a milk and pareve class. 'Meat is meat and a man must eat' but it's what you serve alongside your main dish that elevates a meal from everyday to gourmet. Join me for my vibrantly exciting 'Taking Sides' class and discover that there's a whole lot more to deluxe dining than peas 'n potatoes. This comprehensive workshop delivers a fusion of addictive flavors as it focuses on all-new soups, starters, salads, side dishes & sweets. Take sides by reserving your seat today and take home a whole new perspective on the importance of side dishes. Vegetarian version available on request. Those in favor of variety in life should know that 'Taking Sides' offers a taste of everything! Low Fat….Gluten Free….Healthy Living….Kosher For Pesach...Instant Cuisine. It's all here and MORE when you choose 'Taking Sides'. Participation in Delicious workshops costs a great value NIS 160 which includes comprehensive recipe notes and a full sit down meal. Classes are held in a kosher kitchen in Hod Hasharon close to the Margalit Canyon just 4 km from the Raanana Junction and within easy walking distance of main bus routes. Note that 'Taking Sides' is a Meat/Pareve workshop with vegetarian options available on request. I look forward to having you on my side as you join me at 'Taking Sides'. Winter is here and I'm celebrating the arrival of cooler weather with the launch of the long-awaited 'Spice Trail' culinary and decor class. INDIAN INFLUENCED STARTERS & SIDES: Lightly curried filo triangles, lemon spiced rice & cooling sambals. AROMATIC CURRIES & SIDES: Flavorful skewers, the ultimate chicken curry & fragrant sweet potato hotpot. DELHI DESSERTS: Sweet cinnamon and fruity flavors combine in two crisp 'n creamy dessert dishes. Then CURRY UP to secure your seat! The cost of this great value 2 1/2 hour workshop is NIS 150 including comprehensive recipe notes and loads of tasting time. Delicious! classes are held in a kosher kitchen and 'Spice Trail' will focus on Meat and Pareve dishes. To book your place - or to sign up for your FREE weekly newsletter with recipes, shopping hints and course news - contact me today. I look forward to adding spice to your life! 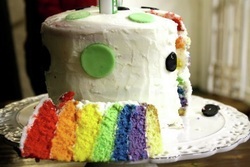 Discover the secrets to making this Rainbow Cake when you 'Celebrate' with me! BOOK NOW FOR 'CELEBRATE' CULINARY & DECOR CLASS! Life is a celebration and celebratory food is an essential part of it! Discover the secrets to catering for anything from a birthday party to a brit….a special anniversary to a bookclub...think big and tackle an engagement party or batmitzvah….or simply learn how to entertain friends in style. Anything is possible once you've attended the all-essential 'Celebrate' culinary and decor class. SOMETHING SWEET : Creative cakes 'n cookies....divine desserts...fondue...fruitful fare. Note that these memorable dishes aren't only restricted to party entertaining but are equally suited to a Channukah lighting evening get-together, post-Shabbat Saturday evening gathering, a light luncheon or casual dinner with friends. I'll also be pulling out the stops when it comes to party decor as I teach you how to set the scene for a celebration to remember. Delicious! classes cost NIS 150 for a full workshop with a minimum of 10 recipes, table setting and craft ideas, comprehensive recipe notes and plenty of tasting time. Classes are held in a kosher kitchen in Hod Hasharon just 4 km from the Raanana Junction and 'Celebrate' will focus on Dairy and Pareve dishes. I look forward to celebrating with you! Book NOW for the upcoming 'Easy Festive Foods' culinary and decor workshop and put real EASE into entertaining. Delicious! classes cost a superb value NIS 150 including recipes notes, craft and table demonstrations and lots of tasting time. Classes are held in a kosher kitchen in Hod Hasharon just 4 km from the Raanana Junction and 'Easy Festive Foods' will focus exclusively on Meat & Parev dishes. Book NOW by writing to delicious.newsletter@gmail .com or calling me on 052 621 5851.